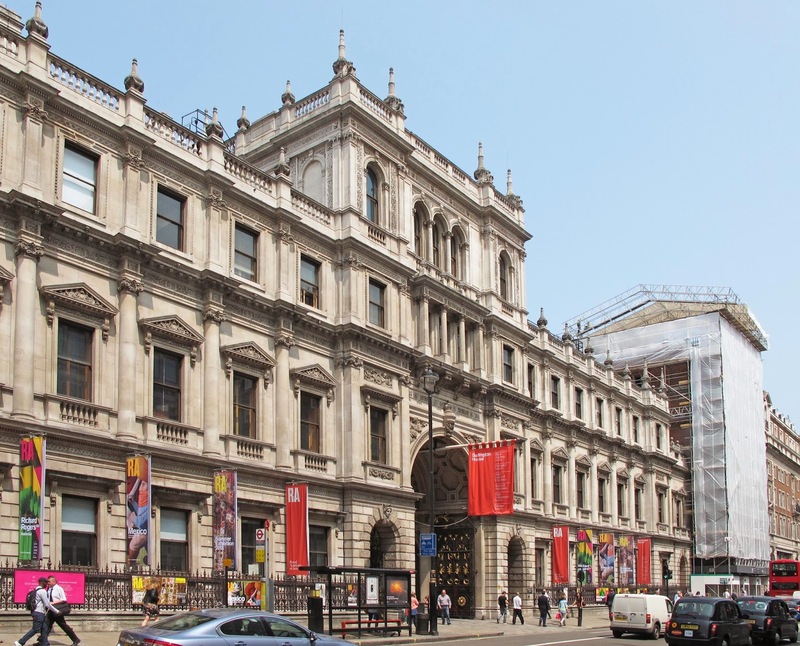 As part of a major refurbishment programme, the West Wing of London’s Royal Academy of Arts has been renovated and upgraded for use by the New York-based Pace Gallery. High spec hinges from SIMONSWERK UK have helped Pace to set up its offices at the gallery in a compact space without compromising on working surroundings. 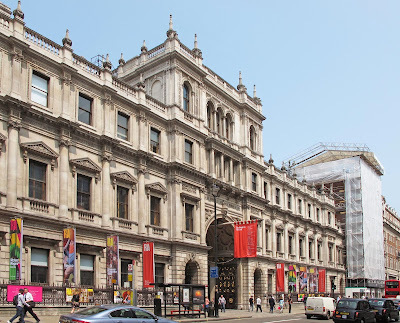 The 9,000sq ft space at the Royal Academy in Burlington Gardens will specialise in modern and contemporary art. Pace, which operates seven prestigious locations worldwide, required a clean, minimalist interior finished to the highest standard. The remodeling was designed by leading British Architect Sir David Chipperfield. In order to maximise gallery space, Pace’s administrative areas were designed to utilise ancillary spaces around the lift and stair cores. 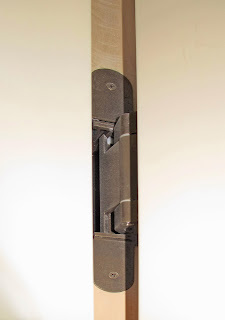 On the first floor, this involved creating large doors to conceal the rear entrance to two passenger lifts. The doors are each 2.8 high, 1.3m wide and 56mm thick and clad in 6mm sheets of Corian synthetic stone. As a result, each door weighs 140kg. The doors are complimented by bespoke cupboards and folding desks – also finished in Corian – to provide workspace and storage in this compact space. The design placed high demands on the door fittings as Steve Welsh, Contract Manager at Suffolk & Essex Joinery explained. Each of these impressive doors is supported by 4 Tectus TE640 hinges inset into the frame and door core. Once in place, they offered a facility for fine adjustment - allowing the doors to be millimeter-perfect in their alignment and positioning, fulfilling the designer and client’s exacting specification. The TECTUS fully-concealed hinge range, designed for unrebated residential and heavy-duty doors, is available in an unrivalled range of high quality surface finishes. Options include the Tectus A8 version for glass or laminate door designs with door fascias and claddings up to 8mm, the Tectus “Energy” system integrating permanent power transfer, the new Tectus FR fire rated range which incorporates the intumescent material within the hinge body and the Tectus TE 645 3D hinge which will carry door weights up to 300kg. SIMONSWERK is Europe´s leading Hinge Manufacturer with a history spanning more than 100 years in the manufacture of top quality brass, aluminum and stainless steel hinges for doors and windows. For more than thirty years in the UK SIMONSWERK has provided the architectural ironmongery and builders hardware industries with a combined supply source for over 4,000 catalogue items backed with outstanding customer service.